People rarely bat an eye at women doing tree poses in yoga while seven months pregnant, but taking to two wheels with a baby on board solicits everything from cheers to disapproving looks and cautionary tales. So what does this mean for pregnant bicyclists? Does a positive pregnancy test mean hanging up the bike for nine months? Exercise plays an important role in pregnant women maintaining their physical and mental well-being. The American Congress of Obstetricians and Gynecologists notes the aerobic benefits of cycling and lauds the general benefits of exercising while pregnant?including improved mood, posture, sleep and the ability to cope with labor. 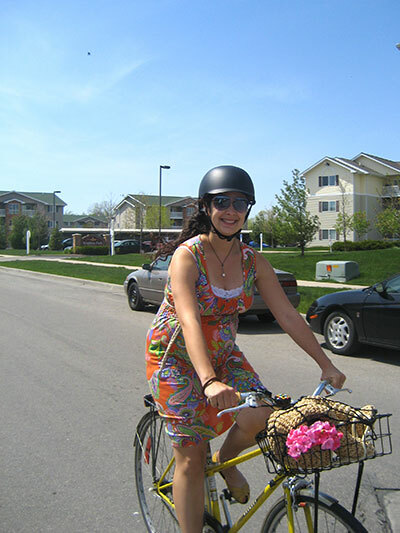 While bicycling has risks, many experts support experienced riders continuing bicycling as long as common sense and care are used. 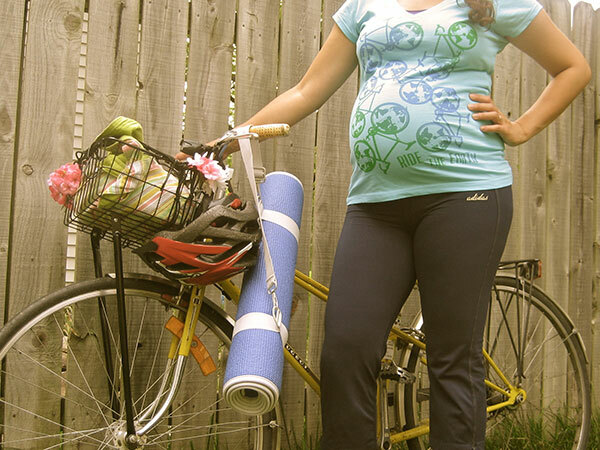 As with all exercise routines, discuss bicycling while pregnant with your doctor first. 1. Listen to your body. Forget how fast or far you could ride last week; all that matters is how you feel today. Each trimester presents new challenges to riding, from nausea and exhaustion to changes in balance. So if your body is telling you to slow down or stop, heed its direction. 3. Know your bathroom options before you need them. Now that you’ve stayed hydrated, you’re faced with the pressure pedaling puts on your already squished bladder. While pregnancy is often an easy ticket to the front of the bathroom line, it’s still a good idea to know plenty of restroom options along your route. This is not the time to test your hovering prowess at a construction site porta-potty. Trust us on this one. 4. Break out the tools. As your belly grows (and grows and grows), the fit of a bike can change overnight. Ditch the racer setup, indulge in a swept-back handlebar, and familiarize yourself with saddle adjustments. 5. Revel in stretchy layers. Bicycling bib shorts offer extra comfort for growing bellies, while layers let you quickly adapt to changing temperatures. 6. Keep the girls comfortable. It doesn’t take long to realize your stomach isn’t the only part of you growing at an astronomical pace. A comfortable and supportive sports bra can be freeing without feeling like a straightjacket for your chest. 7. Stay cool. Growing a human keeps women a little toastier than normal, so it’s important to prevent overheating. To keep your temperature down while exercising, tie a cool handkerchief around your neck, avoid exercising during the heat of the day, and use the heat as a perfect excuse to stop for an ice cream cone. 8. Keep it conversational. Most experts have done away with suggestions on max heart rates in lieu of recommending a ‘conversational’ pace. So if you’re pedaling hard enough that you can’t hold a discussion, dial back the intensity a bit, She-Ra. 9. You’ve had your baby, now get ready to…wait. You may be tempted to tackle the trail or do the long ride you put off while pregnant, but loosened ligaments and connective tissue can leave post-partum bodies vulnerable to injury. The adage of listening to your body doesn’t end just because you’ve met your new baby. 10. Ditch your expectations. Just like all aspects of pregnancy and parenting, expectations and plans get tossed out the window when reality steps in. Take each day as it comes and don’t worry if you get back on the bike at a different time than you anticipated.